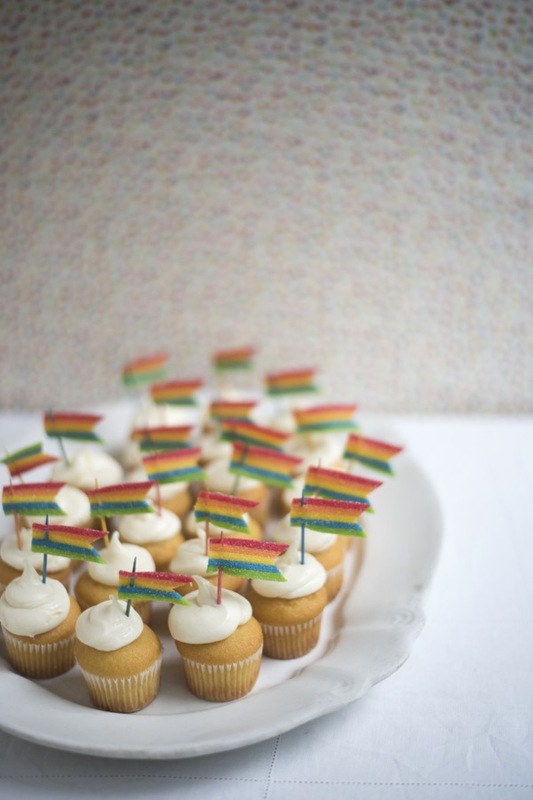 If you were a kid, and someone said you could eat the cupcake AND the rainbow flag on top, wouldn’t you be psyched!? 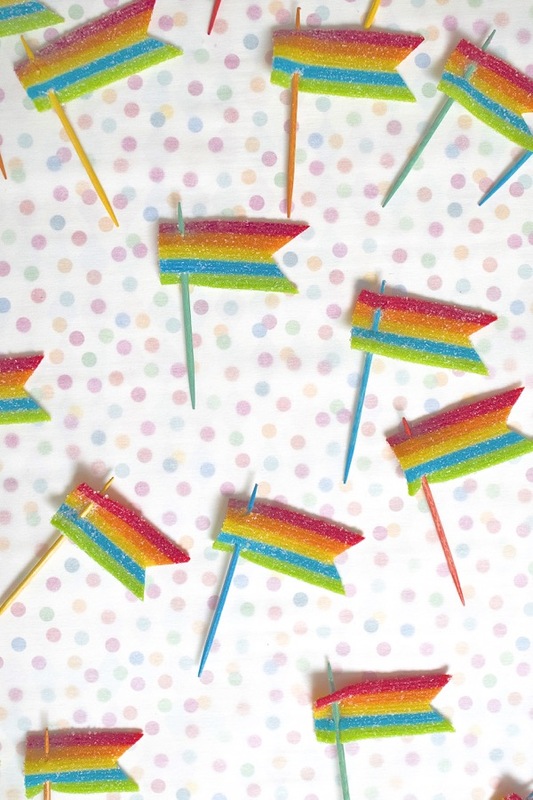 These edible toppers are fast and easy to make, and just the right amount of sweet and tart too. 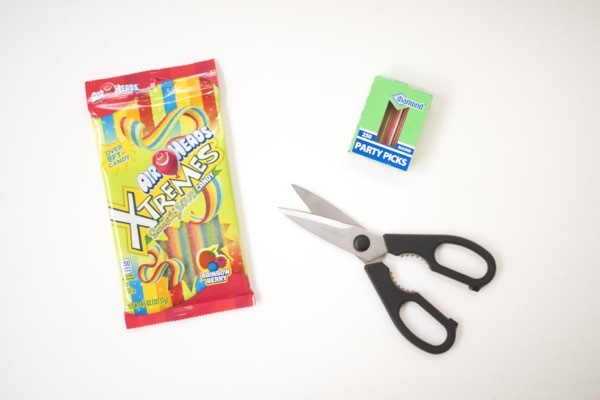 Materials needed: Airhead Extreme Strips, toothpicks, kitchen shears. Step 1: Cut about 1 1/4″ piece of candy. Step 2: Notch the end using kitchen shears (or clean scissors). 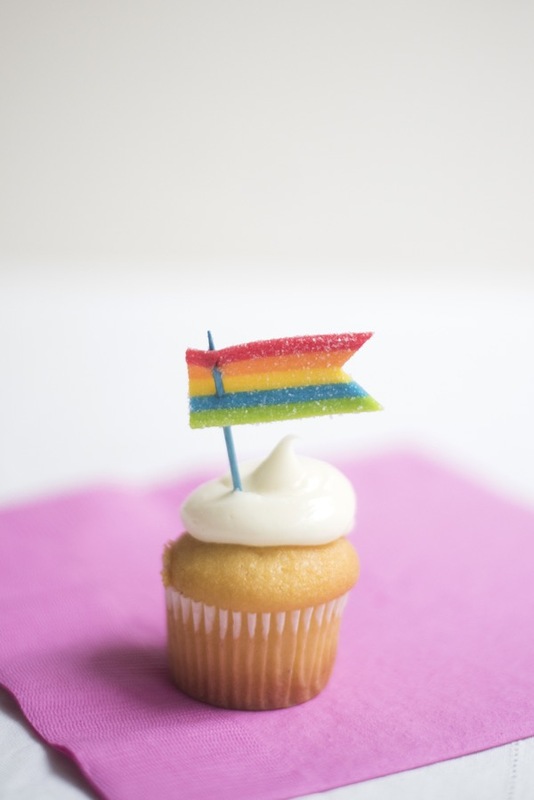 Step 3: Insert toothpick on the bottom left side of “flag” and stick toothpick through top left side. Note: these lasted about an hour or two before they began to crack where the toothpick met the candy. Cute and SO clever!! I am doing this for my girls’ birthday in December for sure!! Cute and SO clever!! I am doing this for my girl’s birthday in December!! 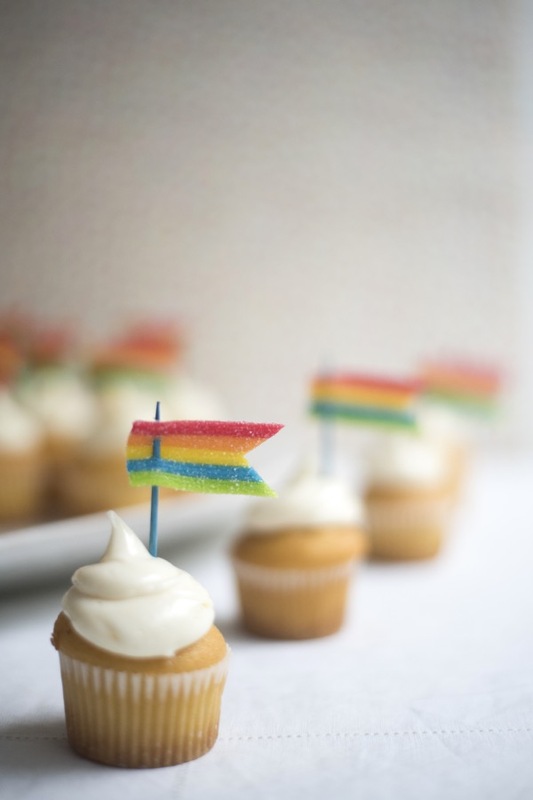 Will definitely be doing this next time there’s a childrens birthday party – I’m the family birthday party baker ! Only three steps!!! Love this. Such a great idea!!! Greetings from Germany! This is so easy to do and incredibly cute! How fun would this be for St. Patrick’s Day!